Feeding an Army is a big job, but also a vital one. Our soldiers need solid meals to keep them going and that’s where you come in. As an Army Chef you will provide healthy food wherever you are and whatever the conditions. You cook for everyone from new recruits to royalty; serving up tasty meals – even out in the field. You also learn about administration, finance and storage, as well as picking up qualifications and enjoying all aspects of Army life: exercise, ranges, sports, travel and great mates too. It’s an amazing experience. Feed soldiers around the world, from meals in the field to silver service dining for functions. Work as part of a small team or as an individual, relied upon to deliver daily meals to your colleagues. Learn to work under pressure, delivering meals with limited ingredients and equipment. Gain experience in administration, finance, accounting, storage and distribution as well as catering skills. 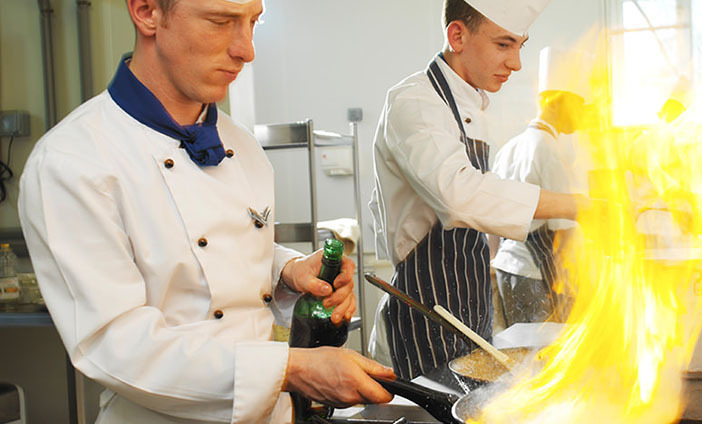 Get qualifications that will benefit you in civilian hotel and catering industries. You start by training to be a soldier with your Reserve unit.